ASIAPEX LTD is a progressive independent company supplying high quality products from high quality manufacturers. Our senior management team is highly trained and experienced; their knowledge is used for problem solving to ensure that we supply the correct product at the correct time with the correct documentation. 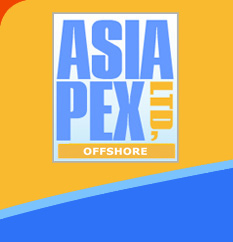 ASIAPEX LTD provides on-site inspection before order, during production and/or after production in China. We ensure respect of quality as per our customers’ requirements in factories. Hence we reduce all risks of bad quality and we are able to identify problems before shipment. We believe in trustable relationship with our customers and our suppliers. Our aim is to build a long term partnership both with customers and suppliers, providing efficient communication from sourcing to after sales services. We look forward to targeting cost savings business to business partners for an efficient and better environment. Our future will be our customers and suppliers future, we are concerned by providing the best services for people and nature, using a professional and top quality management.